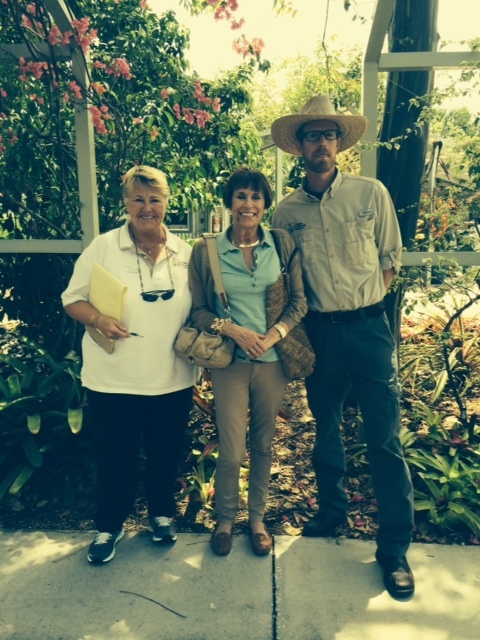 Last week, I had the pleasure of spending a wonderful afternoon with Chad Washburn, Director of Conservation and Education, and Linda McDonald, head honcho (“top flower”) of Sensory Program at the Naples Botanical Garden. See them above with ME!!! We talked experiences about working with folks and their care partners/givers who are in need of Memory Care. For me; it was a time of many Ah Hah moments and smiles about the love we share for those we interact with. 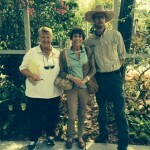 More to come from me as I utilize my Naples Botanical Garden experiences here in St. Louis. Many thanks to Chad and Linda! I look forward to seeing you soon. We were delighted to meet you and learn about all that you are doing to make the lives of mature adults more interesting and stimulating! We look forward to further colaboration with you and hope that we can help with the development of other Enabling Gardens.